Today we remember a great cat of the blogosphere. Sparkle was a pioneer and is missed by all - especially her family. Today they are remembering her and having a comment-a-thon in her honor to give a donation to Tabby's Place. There was discussion over here....do we leave our comments off and just point people over there? Or do we do something great? We decided to donate to our local rescue Colony Cat's in Sparkle's memory. For every comment through midnight Saturday, we will donate $0.50. We know the money will be put to good use and will be honored to carry forward in her memory. 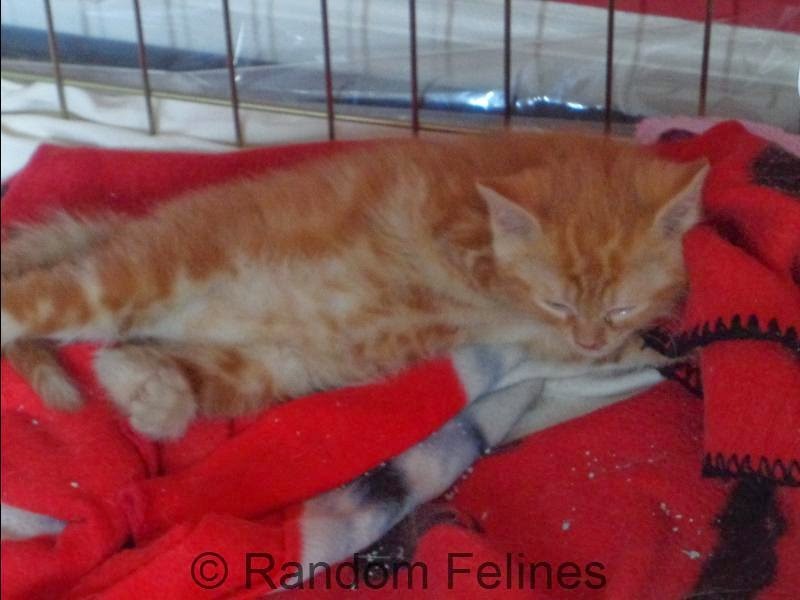 The donation will help kittens like Clem. Thank you for that sweetness. Here I am, a Tuxie in love with Clem though he is too young for me. We hope Clem will soon get his furever home. Good luck to Clem and all the cats and dogs searching for their homes. At least Clem is in good hands until then. Clem is such a cutie pie. We sure hope his forever and ever home comes very soon. Such wonderful ways to remember dear Sparkle. I hope you get to go home soon Clem. What a wonderful thing to do. I hope clem finds his furever castle. Can I link you to my blog post? Great idea to do this in Sparkle's memory. We hope you get lots of comments. That is just wonderful. We made a donation in Sparkle's memory to Tabby's Place. It sure is wonderful of you to do this! That is a lovely idea to have a commentathon in Sparkle's memory to help Clem and the others at the shelter. Didn't know Sparkles but seems like a cool cat. Very nice of you to donate in Sparkle's name. How great that you are having a commenthon of your own! 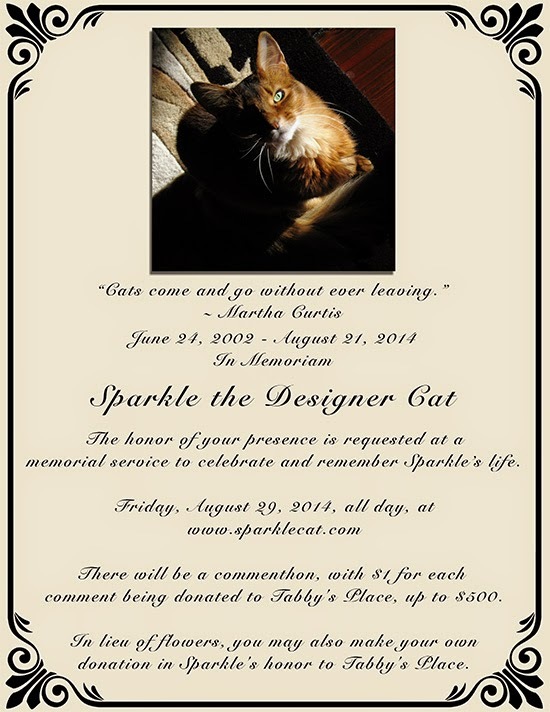 I'm so glad to see that Sparkle has inspired so many to help kitties in need on her memorial day. guys...thiz is way awesum oh ewe ta donates green papers to help yur shelter.. colony cats, N we noe sparkle iz veree happee N veree honored !! What a great way to pay tribute to Sparkle. We're having a commentathon today too! How awesome!! Purrs to all of you!! A wonderful way to honour our special and irreplaceable friend.